Over 50% of adolescents and teens suffer from cyberbullying. 61% of overweight teens become depressed due to harassment via social media, internet, and text messaging. Clearly, cyberbullying poses a threat to the future of many adolescents. "You're ugly", "You're too dumb to hang out with us," or "Why are you so fat" hinder young adults from pursuing their passions. We've created Briten, a text messaging service that fosters cyber encouragement, to combat this problem in society. Nowadays, over 80% of adolescents are attached to their mobile devices, making Briten a wonderful tool to help terminate the problem of cyberbullying. 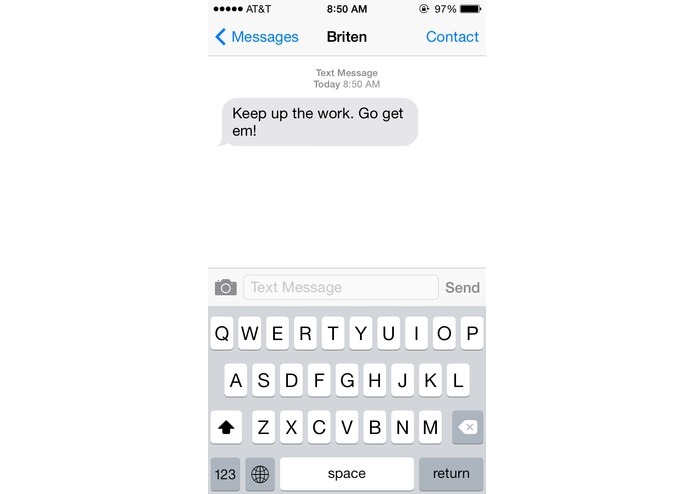 Briten allows its users to send a text of encouragement to its servers. 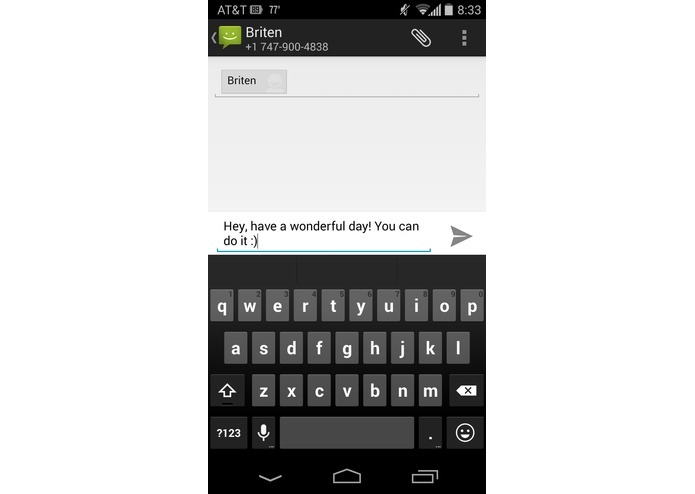 Then, Briten randomly delivers positive texts to its users. Users brighten others' days, while their days are brightened by other people. It's a win-win situation. 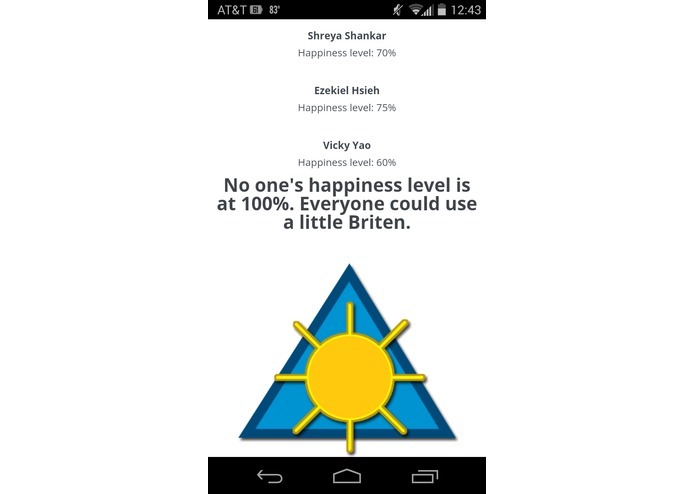 Briten keeps the text messages anonymous to ensure its users' security. If the system detects any inappropriate language, the text message is deleted from the system and the user who sent the inappropriate message could have his or her account terminated. We want to create an atmosphere of positivity, not another medium of cyberbullying. Briten will brighten your day. Check out http://www.britendays.herokuapp.com!